And here is another gluten-free dessert from us. 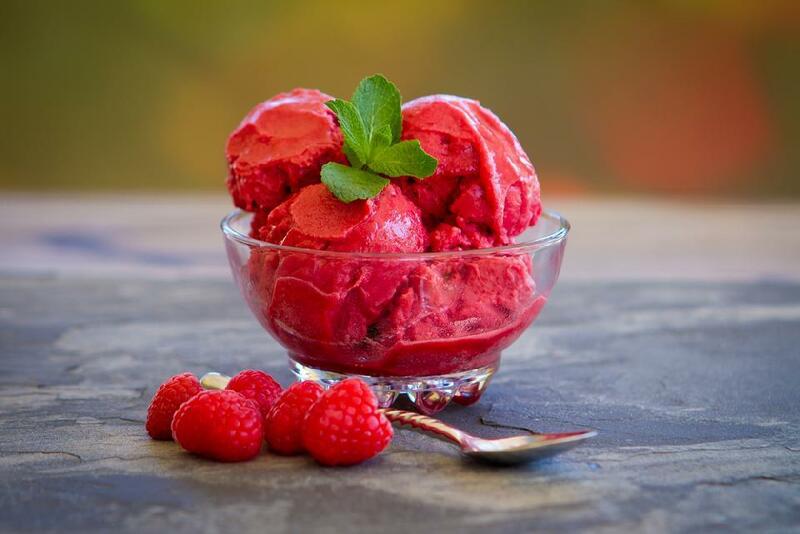 In this post, you will learn how to cook raspberry sorbet. Place in a blender raspberries and water. Whisk well. Add sugar, vanilla, and lemon juice. Whisk again and sift. Place in a bowl and keep in a freezer for one hour. Remove from the freezer, mix well and put it back. Repeat procedure 4 times. After this, sorbet will be ready.